The authorship debate is not my thing. At all. I believe in my man, Will. Will wrote the plays, people. Got that? 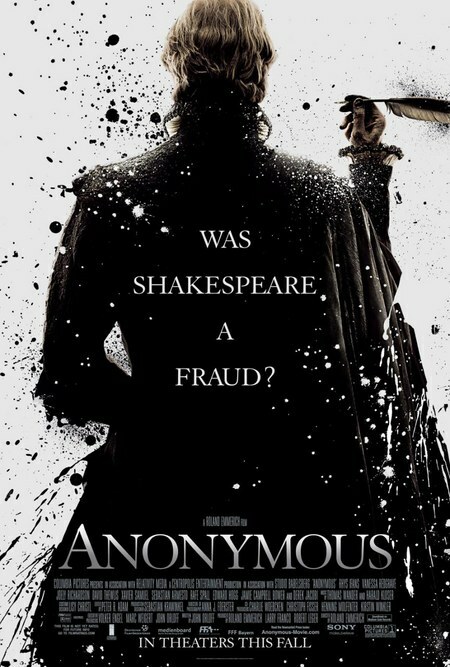 So, when I heard rumblings about this film, Anonymous, I was not interested, not even thinking about going to see it. I thought I might watch it on video some day when I had nothing better to do. I thought it was going to be just so much more noise. I heard it compared to Oliver Stone’s JFK. Conspiracy theory extraordinaire! The real inside scoop! Someone finally put all the pieces together! 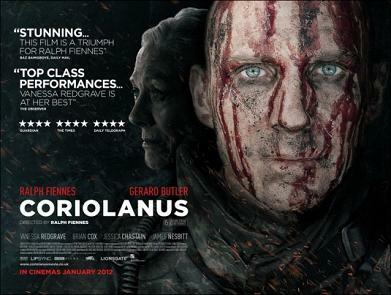 I am so glad I left all THAT NOISE behind and actually went out to watch this film! It is wonderful! Splendid! I loved it! And no, I have not suddenly turned Oxfordian! Have no fear. That will not happen! Let’s get the truth out right now, okay? It’s Fiction. F-I-C-T-I-O-N. 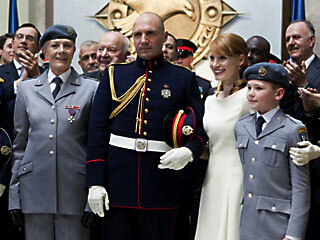 I hate to break the news, but the historical accuracies in this film are by far outweighed by the fun fiction. Hello? Do people really believe that Queen Elizabeth had multiple bastards? Hello? Do people really believe… okay, I’ll let it go. It’s fiction. So is Shakespeare in Love, and you know I love Shakespeare in Love. I think I may love Anonymous even more. This film is luscious! Beautiful cinematography. Absolutely breathtaking! Wonderful acting! Fantastic sets and costumes. A feast. I mean, wow! And smart. And entertaining! There’s romance, tragedy, intrigue, farce… even a miracle at the end that saves the plays from destruction. 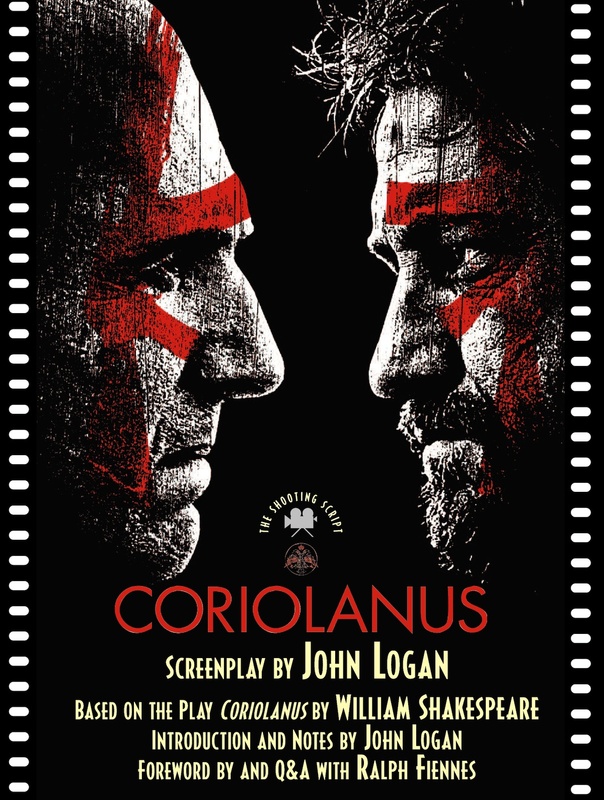 This film is truly Shakespearean to the core (a seemingly impossible feat since the film is set on portraying Oxford as the Bard!). We revel in the beauty of the words here. The plays are beloved and treated with reverence in this film. Many are partially staged and it’s just lovely to see. Shakespeare loved the play within the play. This whole film is a play within a play… and so much more! Here when the Mousetrap in Hamlet is staged, we have the play within the play within the play within the play within the movie. Bravo! (Let’s go over that… we have the Mousetrap which is Shakespeare’s play within Hamlet and it’s all happening in the play which is the story of Oxford’s authorship which is set within the framework of a modern play about the authorship question in the movie Anonymous. Yes, there will be a quiz!) 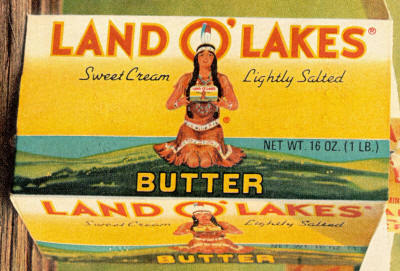 It reminds me of the scene in Mad Men where Sally Draper talks to the neighbor boy about the infinity of little Land O’ Lakes Indians on the butter box (the Indian is holding the butter box with the picture of the Indian holding the butter box with the picture of the Indian holding the butter box…). I think Shakespearean scholars (which I’m not) would catch all kinds of allusions in this film that go over my head. I think Shakespeare/Tudor film/TV buffs (which I’m not… keep your eye on BardFilm) will see all sorts of allusions to shows that go over my head (for example, I noticed Elizabeth’s finger sucking in her dotage, which I just happened to see Glenda Jackson do in the old BBC series Elizabeth R). Love this film. Love it! I was so happy watching it! I was smiling through much of it and smiling on my way home! Oh my goodness, Rafe Spall playing Shakespeare does such a fully fantastic performance of this farcical jackass… I literally laughed out loud every time he appeared on screen. And can I say, thank you Rafe, for redeeming yourself in my eyes after that truly godawful film One Day… one of the few movies I would have walked out on, but my friend kept telling me it HAD to get better (it didn’t). 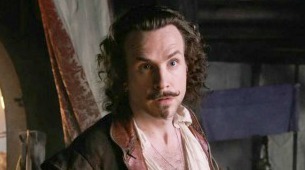 Rafe Spall, you are redeemed. (I just want to point out that Rafe is the son of Timothy Spall who played the trippy Don Armado in Kenneth Branagh’s Love’s Labour’s Lost). Rafe Spall’s Shakespeare is a relatively minor character in Anonymous. 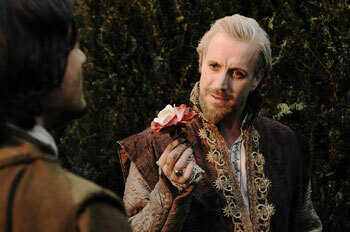 The film belongs to the Earl of Oxford (Rhys Ifans who has been a fave of mine since the quirky Danny Deckchair). Oxford is also played well in his youth by Jamie Campbell Bower and by Luke Thomas Taylor as a boy. Other fine characters here are Queen Elizabeth (played convincingly at different ages by Vanessa Redgrave and her daughter Joely Richardson), Ben Jonson (Sebastian Armesto), and then there are the Cecils, Southampton, Essex, etc. It’s a great story… and amazingly loose ends are tied, i’s are dotted and t’s are crossed! It makes perfect sense! Just one more reminder, repeat after me: It’s fiction. It’s wonderful Shakespearean fiction! Enjoy!